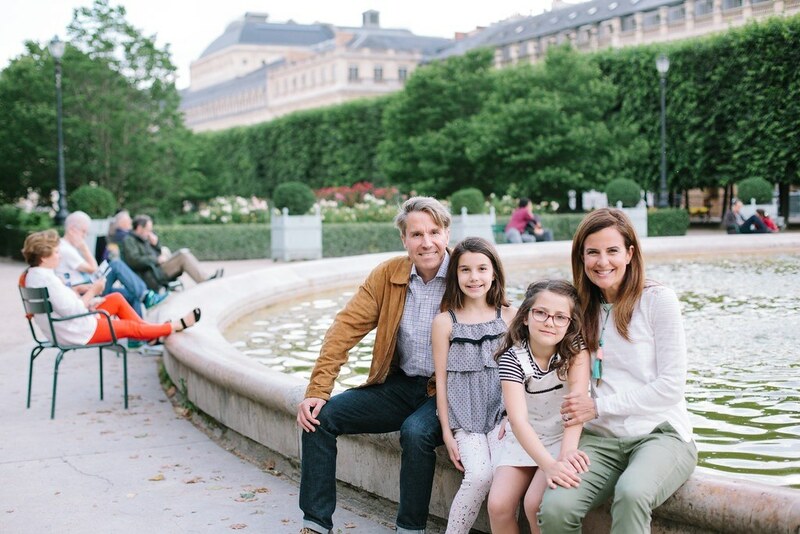 Read an interview with an inspiring business woman, Nicole Felicano, the founder of Momtrends, a website offering tips and tricks for fashionable mom life. I’ve admired Nicole’s work (and style!) for a long time, and one of the most admirable things about Nicole is that as she has grown her empire, she has helped other women to build theirs as well. 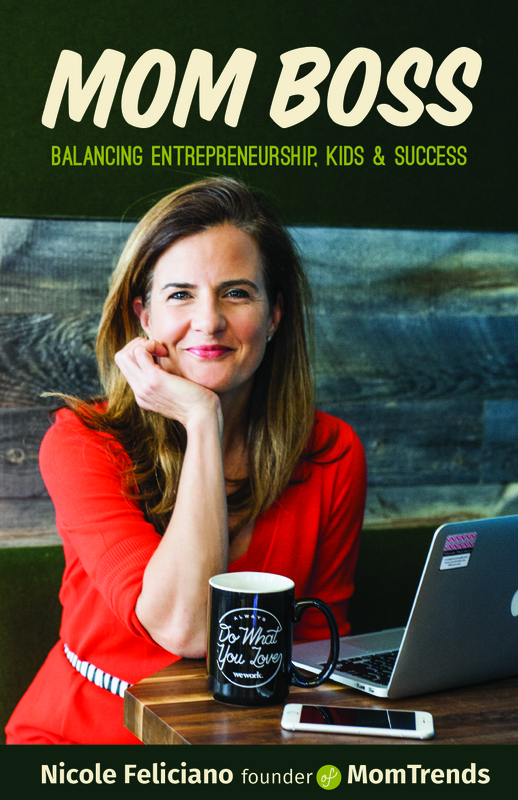 Nicole recently published a book Mom Boss: Balancing Entrepreneurship, Kids & Success, in which she gives her best tips for any mom who thinks about combining motherhood with business ownership. I especially like the chapter where Nicole identifies the different kind of (entrepreneur) personalities and which type of business would work for the personality. As a serial entrepreneur, I can testify that it can take a long time to find the business and the business model that feels the best, and Nicole’s tips can really help someone to think their personal strengths and how they can be used in building a business. 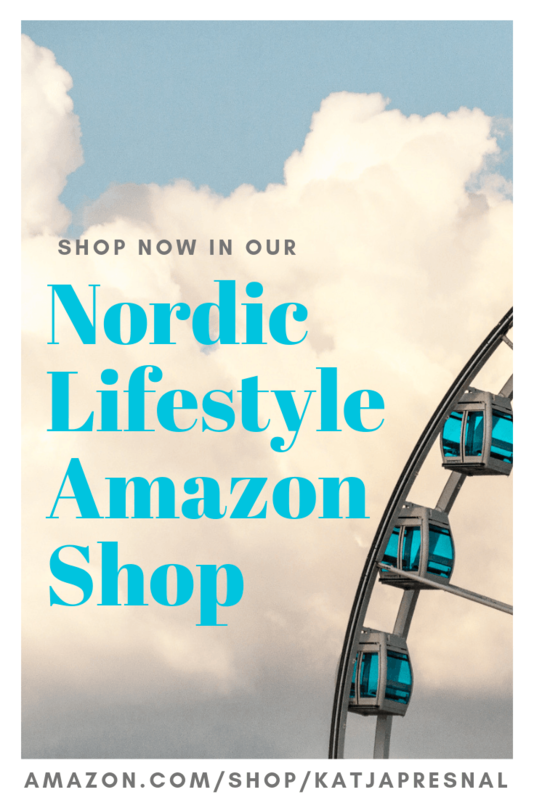 I highly recommend Nicole’s book for those who are still considering starting a business – this is the book that takes you past some questions you may have, and helps you to launch! Tell us about Momtrends, and how you have built it to one of the top media brands for style savvy moms. What are some of the factors you would say that contribute to that success? Nicole: Momtrends began with a mission to help moms feel fashionable and fabulous throughout motherhood. We started as a lifestyle site and have grown to become a media business. In addition to editorial, we offer events, videos and outreach programs. We are now a one stop shop for brands to amplify a message. All along we’ve stayed true to our core–helping moms. We know having kids means you’ll have less time, money and energy. We want your visit to Momtrends to be a little time out. Provide you with something pretty to look at, something inspiring to try. Pretty/Positive/Social/Inspiring — that’s our mission statement. Most people talk about finding the balance between work and family – but you talk more about creating the life that let’s you be the mom you want to be while creating the business you want to have. Tell us the main difference between your career at Ralph Lauren, and now running your own company Mom Trends. Nicole: The biggest difference is that I get to set my schedule. I can work from anywhere and I give my employees tremendous flexibility. I’ve also been able to set the pace of my growth. When the girls were little, they needed me around more and I curbed growth. Now that they are older, I’ve got the bandwidth to grow. You have several valuable tips in your book about organizing and running your business. What kind of tips you would say to those who are just thinking about starting their own business? What does it take to become a Mom Boss – and do you think everyone has it? Nicole: First things first, figure out how you are going to make this business viable. How are you going to find the hours to put in and the money to invest? Don’t just dabble, map out a plan to give yourself the chance for success. The quiz (in my book) offers moms that we pondering the next move some help, I think there are three different types of bosses. The Mom Boss Quiz will help you find the entrepreneur path that suits you. Mom Boss, is the ultimate road map for startup success. There are ideas on time management, getting your finances in order and creating healthy relationships around the business. It’s the book I wish someone had handed me 10 years ago when I was dreaming up Momtrends Media. Oh same here! I wish I had your book when I got started in 2004. I especially love how in your book Mom Boss you talk about different entrepreneurial personalities, ultimately showing how many different ways there are to become a Mom Boss. Can you tell us in short about the different personalities you mention in your book? Solo Artist: You don’t need others around you to stay motivated. You take tremendous pride in your work and a job well done. You might be an introvert and get recharged by books and music. You prefer to communicate digitally, and like to work nontraditional hours around your family’s schedule. Brand Builder:You’ve got a vision, and won’t stop until you’ve reached your goals. While you may like working with people, it doesn’t drive you. One thing is sure: you like being in charge, and aren’t afraid to lead. You’re goal oriented and willing to sacrifice short-term fun for long- term gains. You think big! Team Mom: Chaos and last minute changes don’t through you for a loop. You loved working at an office for the social access, but just can’t make the structure work. Having people around fuels you, and you’re a natural storyteller and salesperson. What’s next for Mom Trends? What kind of dreams you have for yourself and your brand? Nicole: Right now I’m focused on inspiring the next generation of entrepreneurs! I hope this book tour inspires more women to take the leap and launch. I’m also excited about the products we are launching–look for some cool t-shirts and tops very soon! What does your “skimbaco” look like? How do you define living life to the fullest in the moment? Nicole: Travel! This job has freed me up to say yes to all the travel that comes my way. Exploring with my family and being able to work on the road is a dream come true. At my office, I am surrounded by women who inspire me to be my best. I’ve got the best balance between work I love and meaningful family time. I hear you are hosting a few events during your book tour – where can we expect to see you this fall? Nicole: In December I’ll be headed to Toronto! 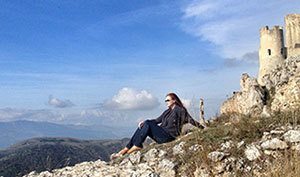 The spring will bring me to St. Louis, Atlanta, Nashville and Raleigh–I’ll also be the Keynote Speaker at Connecther 2017. I’m eager to meet as many entrepreneurs as possible so I’m open to opportunities and that feels great. 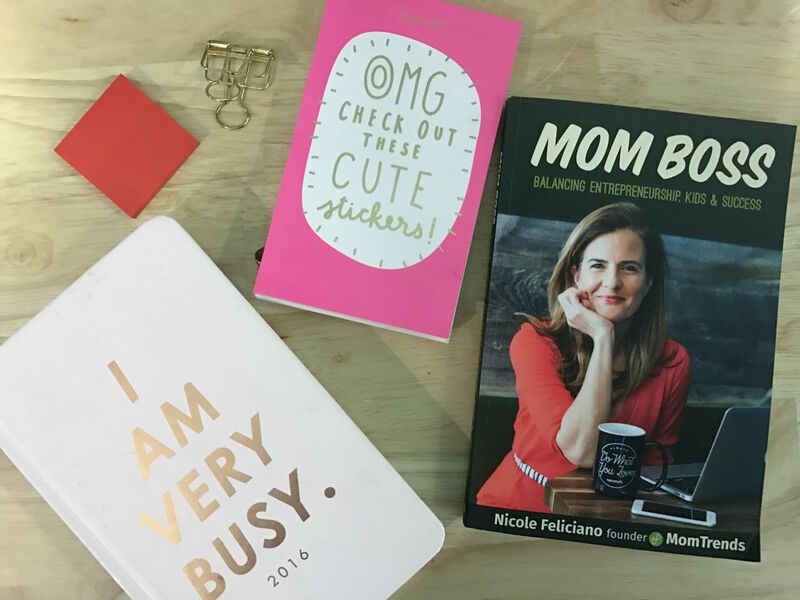 Check out the full book tour and get Nicole’s book Mom Boss. Definitely an inspiration to everyone. It is good to know how a mom can able to manage their time from work and family. As long as you have the passion and dedication within yourself, everything is possible. Thank you so much for sharing my story with your community. I love that we are on this Mom Boss journey together.